The basis for creating the author's method of recovery was the health problems of Dr. Mujibur Rahman himself. Constant stress, huge workloads, regular flights and time zone changes - it's no wonder that overall well-being left much to be desired, excess weight, joint pains and headaches developed, there was a constant lack of energy. Using all his knowledge, modern achievements and ancient techniques proven by thousands of years of experience, he created a special program based on the principles of proper nutrition, alkalization of the body, optimal energy production by cells, complete detoxification of the organism, a quiet lifestyle and sufficient motor activity. In the methodology of Dr. Mujibur Rahman, special attention has been paid to cellular energy education. A friendly environment and a sense of well-being. They are called the basics, because they work together, as in the recipe. Vantage Natural Health Center will reverse these processes and revive your health and energy. We deal with all modern degenerative diseases, such as heart disease, atherosclerosis, high blood pressure, diabetes, arthritis, kidney disease, asthma, allergies, psoriasis, eczema, osteoporosis, migraine, hyperacidity, etc. But this is not all. The main thing is that we will teach you how to change your way of life, you will become healthy and energetic without doctors and medicines, remaining so for the rest of your life. 1. The transformation of the acidic environment of the body into an alkaline one. Alkaline diet and alkaline water (chemical method). Physical exercises, massage, infrared sauna, etc. (physical method). All of this is offered by Vantage Natural Health Center. 2. Activation of the mechanism of cell recycling through the incorporation of rejuvenating enzymes. The human body consists of 40-60 trillion cells. Inside these cells there are mitochondria, which create energy for the whole organism. If the cells are in good condition, the energy conversion goes well, you can enjoy health and energy, despite the age. When there is accumulation of debris in our cells, the mitochondria cannot function effectively. It is necessary to clear the cells of the "garbage" (intracellular detoxification) in order to restore the health of the body. In the body there is intracellular detoxification (the system of utilization of "garbage"), which includes rejuvenating enzymes. It only needs to be started. Vantage Natural Health Center creates all the conditions for launching a natural system of recycling "garbage". We are victims of our own success - eating too much and too often. The organism now and then is engaged in processing of constantly arriving nutrients, thereby we deprive it of effective processing activity in our cells and activation of rejuvenating enzymes. Short-term hunger activates this intracellular detoxification (autophagy) with the help of rejuvenating enzymes (proteases). In our body there are more than 5000 enzymes, which create about 25 000 different biochemical reactions. Almost all these reactions require enzymes, so that they occur at a rate sufficient to sustain vital activity. Group C: phytochemicals, dietary fiber. 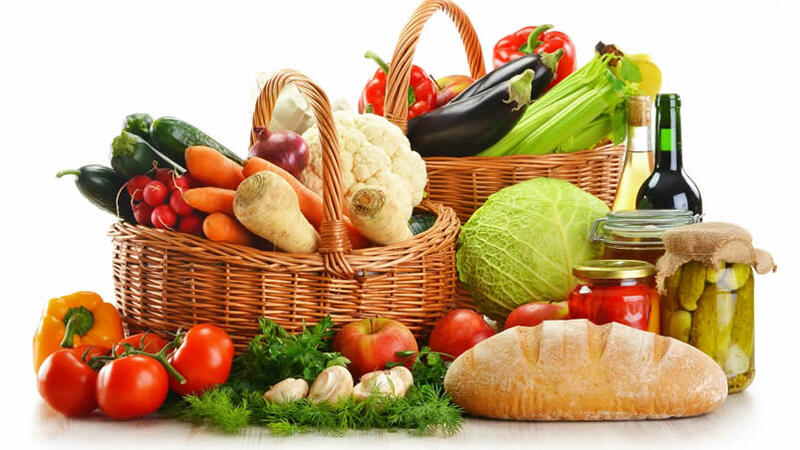 "Ideal" products are products containing all three groups in the right proportions, and these are vegetables, fruits, algae and other products of plant origin. Products of animal origin do not have dietary fiber, enzymes. They contain a large amount of fats that are difficult to digest, which leads to the accumulation of waste in the intestines, contributing to the appearance of a bad intestinal environment and clogging of cells. This jeopardizes the production of the necessary energy for the body. The key to health is in your intestines - that's how most reputable scientists believe. The health of our intestines has a significant effect on the cells, since all food is digested and absorbed into it. It is from the intestine that nutrients are sent to all cells of the body. If there is accumulation of toxic substances and gas in the intestine, such as hydrogen sulphide, ammonium, indole and scatol, which pollute our blood, this will have a negative effect on the work of cells. One of the strategic foundations of the immune system is in the intestine. About 60-70% of our immune cells are in Peyer's patches of the small intestine. When our intestines are contaminated, these immune cells can not function normally. In other words, a diet that spoils our intestines, causes a decrease in the immune resistance of the body. Based on the statement that the pure intestine is the guarantee of your health, I suggest several methods for cleansing the intestine. The first method is a refusal to eat for a short period, including the dietary changes described by me. Other methods I recommend are coffee enema and hydrocolonotherapy. Remember that the basis of cleansing the bowel is not an enema, but your daily intake of food.